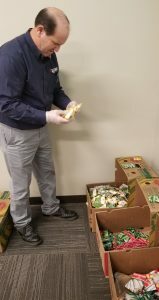 The LPC Vancouver Office Gives Back to Their Community! 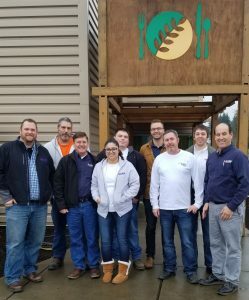 Yesterday, the Long Painting Company office in Vancouver, Washington volunteered at the Clark County Food Bank. 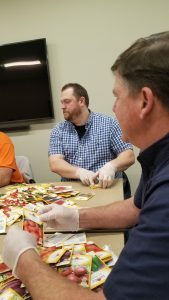 Soon as the LPC team was briefed, they were escorted into a room and assigned the task of separating different types of vegetable seeds into their perspective categories. 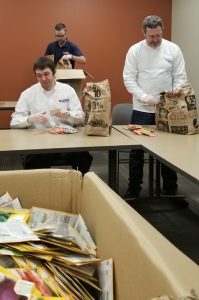 Sorting the seeds makes it easier for the food bank to distribute. The overall experience for the Vancouver LPC team was amazing, it also was a great team building opportunity. They not only had a great time, but also learned a lot about various vegetables. In the end, they sorted approximately ten boxes. Each box contained 4,000 packets of seeds, which means the team sorted 40,000 seeds within the two hour time slot. 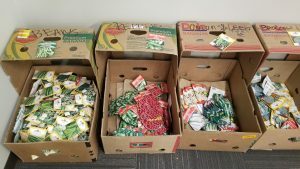 The Clark County Food Bank receives seed donations which are not only distributed to local farmers, but also some are planted in the 10-acre plot at Heritage Farm and on the 2-acre plot directly behind the food bank. Items grown are provided to families in need so they have fresh food options on a regular basis. Both the Heritage Farm and food bank produce over 100,000 pounds of vegetables each year. Way to go Vancouver for taking time to help families in need!